A few weeks ago, I had a conversation with someone who asked me to discount my service. This is the first time in a long time this has happened to me. It’s not surprising and I was not insulted, but I know some people may have felt that way. 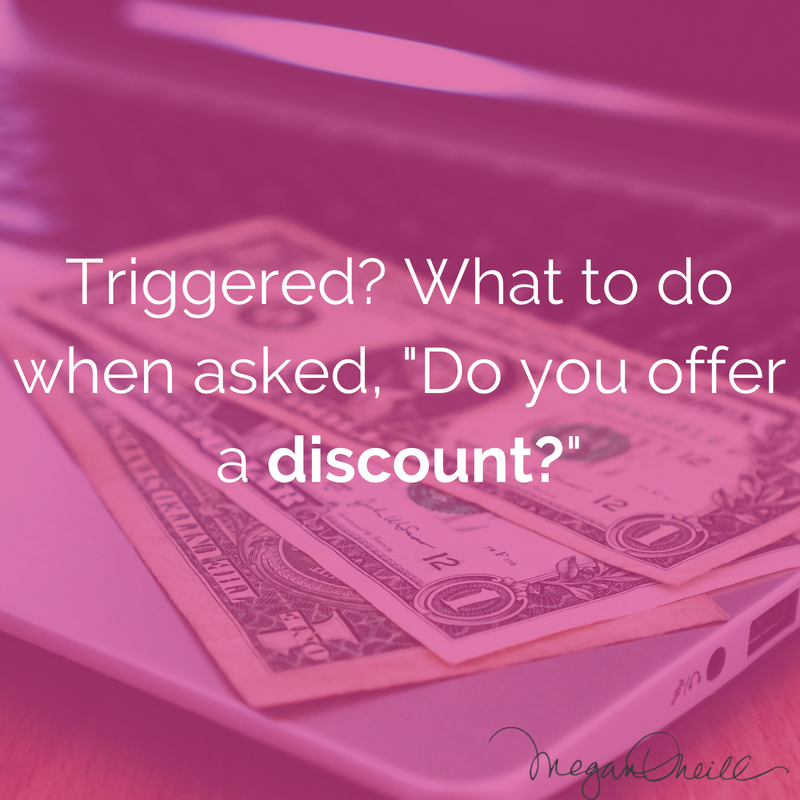 So, I wanted to ask you: how do you feel when someone asks you for a discounted rate or price? And what can you do if you are asked for a discount? In the “old days” when someone asked me for a discount, I thought it was something I had to do. 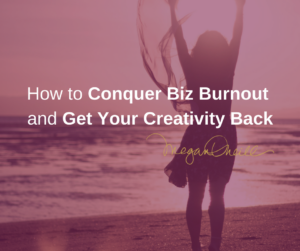 This was a learning lesson for me in the beginning stages of my business, but as I went along I began to feel insulted when someone would ask for a discount. I was beginning to gain confidence and getting busier and felt insulted when someone would ask for a cheaper rate. Now, when someone asks for a discount, I feel ambivalent. When this particular person asked me for a discount, I simply told them I do not offer discounts, but that I do offer different payment plans and options. When someone asks you for a discount it tells you something about them and what they believe. They may believe your services or products are too expensive. This means they may not be your ideal client. Take, for example, my fourteen-year old daughter. She recently went back to school shopping and upon looking at hundred-dollar jeans said the store was too expensive. Well, for a teen making babysitting money – yes, that is expensive. So, she is not that store’s ideal client. And if she were to ask for a discount, they certainly would not give it to her. 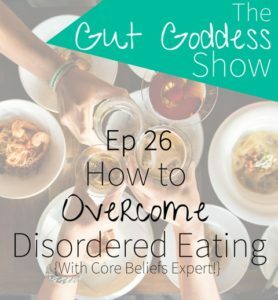 If you are being triggered by someone who is asking for a discount then there is a part of you feeling insecure about how much you are worth and how much you are charging. This speaks to your money blocks and this is an opportunity to look closer at that. If you feel called to give someone a discount, for whatever the reason, know that there are no rules. If it comes from a place of good versus fear they cannot afford you – that is okay. But if you do not want to discount, then don’t. Instead, try keeping someone on hand who is cheaper than you. This way you have someone you can refer people to. Remember: not everyone is right for you and you don’t have to work with everyone. The other thing to keep in mind is cultural beliefs. In Canada, we are sticker price people – generally, what is on the sticker is what we pay. But when I used to travel to Southeast Asia it was all about haggling and negotiating the price. 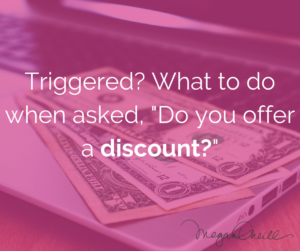 So, remember that when someone asks for a discount that it is not about you, but could be about their beliefs. And as much as it could be about them – don’t forget to look within yourself as well. What do you believe about your products or service? Remember, you are sending out an energy. You can look at your prices if you want to, but you should also look within yourself. If you don’t value what you do or what you are offering people than that is a beacon you are sending out to people. If this feels familiar to you, then you more than likely have money beliefs that need to be worked on. Book a free 45-minute clarity call and let’s see how we can work together.